In a challenging work situation, the level of stress and anxiety you are feeling may well be unnecessary – but you can beat it by taking control with these simple tools. 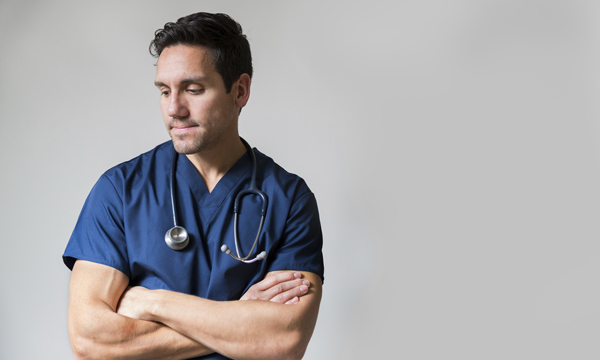 Stress is a significant problem throughout the NHS workforce. Almost 40% of employees who responded to the 2015 NHS staff survey reported feeling unwell because of work-related stress and pressure. However, more than 90% of staff acknowledged that the pressure they put on themselves had a greater effect on their stress levels than pressure from colleagues or management. Recognising and reducing the pressure that you put on yourself is vital to your physical and mental wellbeing. Patients and their relatives have a range of ways of coping with distressing news. Similarly, you and your colleagues will have different coping strategies when faced with competing demands. Some nurses thrive on this, remaining cool under pressure; others find themselves unable to focus, and may appear flustered and out of control. How ‘stressed’ you feel is directly linked to your perception of how you are coping, or how you will manage a future situation. If, for example, you know you are going to be in charge of a shift, worrying about how you will cope can create a negative perception of how the day will unfold. The useful STOPP! tool, taken from cognitive behavioural therapy, can easily be applied to any situation where you notice a build-up in your stress levels. You can do this wherever you are, even if you are with a patient or relative. Nobody will know you are doing it, so try not to feel self-conscious. ▶ Stop Try repeating ‘stop’ to yourself to consciously halt your train of thought. ▶ Take a breath Breathe in deeply through your belly, count to five and exhale. ▶ Observe your thoughts What are you thinking? Are you reacting to anything in particular? What’s happening in your body? ▶ Pull back Try to turn down the emotional intensity by gaining some perspective. Look at what is happening as if you were in a plane. What else can you see? What is within your control and what isn’t? ▶ Practise what works What would help you just now? What can you do to improve the situation? But there may be things you can do to help you feel prepared. It is possible to alter the way you view situations by changing unhelpful patterns of thinking. The first step is to learn to observe your thoughts and recognise how your thinking might be affecting the stress you are experiencing. Try keeping a ‘thought’ diary for a week. Write down in detail your thoughts about work events before, during and after they have happened. Rate your perceived stress levels for the same events before, during and after. Do you notice any patterns? What might help? It takes time and effort to change habitual patterns of thinking, so don’t beat yourself up if you find this process difficult. Avoid comparing yourself to others and judging yourself – this will only add to the demands already placed on you. When faced with a challenging situation, such as an angry relative or a mountain of urgent paperwork, it can be easy to let your thoughts escalate. Before you know it, your heart is beating faster, you can’t think clearly and you may even want to run away. Remember, it is not the situation itself that is causing your anxiety, it is your reaction to it. Learning to slow down your thoughts, focus on what is happening and what you can do, are key to managing stress levels in both your work and personal life.